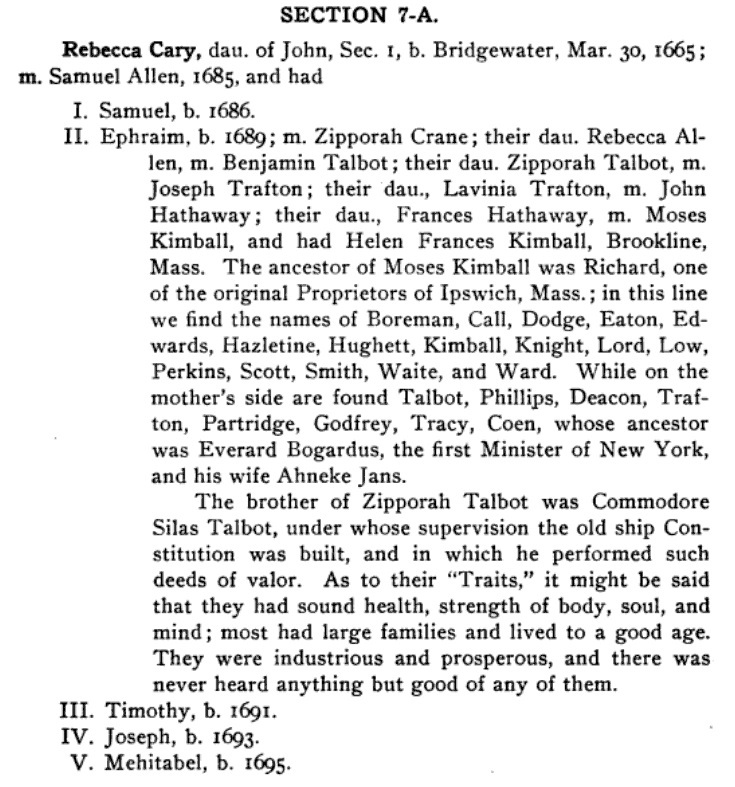 "Massachusetts Births and Christenings, 1639-1915," database, FamilySearch (https://familysearch.org/ark:/61903/1:1:V5NH-RH8 : 4 December 2014), Nathan Allen, 28 Feb 1749; citing BRIDGEWATER,PLYMOUTH,MASSACHUSETTS, ; FHL microfilm 164,691, 164,692. "Massachusetts Marriages, 1695-1910," database, FamilySearch (https://familysearch.org/ark:/61903/1:1:FCM2-MW5 : accessed 15 October 2015), Nathaniel Allen and Mary Lovel, 26 Apr 1710; citing reference ; FHL microfilm 947,061. Vital records of Bridgewater, Massachusetts, to the year 1850, Boston, Massachusetts: New England Historic Genealogical Society, (1916) , Vol 2, p. 418. 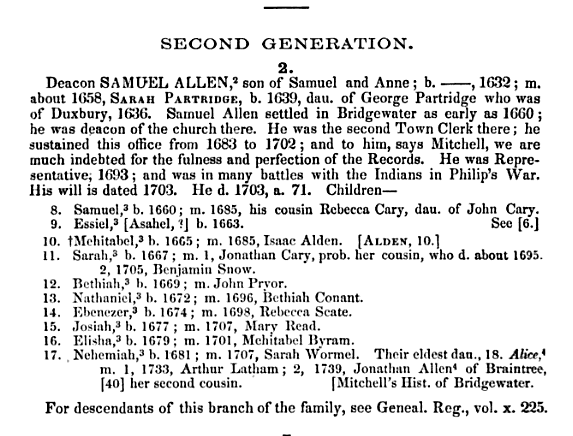 "Massachusetts Births and Christenings, 1639-1915," database, FamilySearch (https://familysearch.org/ark:/61903/1:1:V5NC-3RC : 4 December 2014), Phillip Allen, 09 Jul 1757; citing BRIDGEWATER,PLYMOUTH,MASSACHUSETTS, ; FHL microfilm 164,691, 164,692. 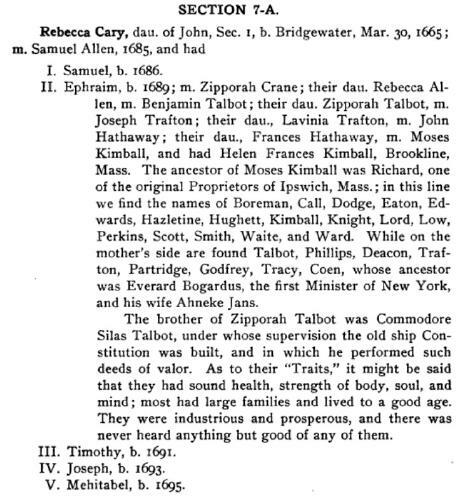 "Massachusetts Births and Christenings, 1639-1915," database, FamilySearch (https://familysearch.org/ark:/61903/1:1:V5NC-Q8P : 4 December 2014), Rebecca Allen, 13 Sep 1751; citing BRIDGEWATER,PLYMOUTH,MASSACHUSETTS, ; FHL microfilm 164,691, 164,692.